A detailed Environmental Impact Statement (EIS) for the Narrabri Gas Project was prepared and submitted to the Government in February 2017, and is currently being assessed by the NSW Government on behalf of the Commonwealth under the assessment bilateral agreement. The EIS is the major assessment document prepared for the project. It is required to identify and address potential impacts of the project. It includes extensive studies with modelling and data on areas including water, flora and fauna, soil, noise, air quality, cultural heritage and social impacts. The EIS comprehensively addresses both the requirements of the Secretary of the NSW Department of Planning and Environment (SEARs) and the requirements of the Commonwealth under the EPBC Act (supplementary SEARs). State Environmental Planning Policy (Mining, Petroleum and Extractive Industries) 2007 establishes a gateway process for the assessment of State significant mining and petroleum projects located on biophysical strategic agricultural land (BSAL). Although the Narrabri Gas Project area did not contain BSAL as mapped by the NSW Government, Santos was required to carry out a BSAL assessment. This included extensive soil surveys within the agricultural part of the Project Area, in accordance with the NSW Government’s Interim Protocol for Site Verification and Mapping of Biophysical Strategic Agricultural Land. This assessment confirmed that no BSAL occurs within the Project Area and the NSW Office of Environment and Heritage issued a site verification certificate to that effect on 1 December 2015. This certificate can be viewed here. ‘Petroleum exploration, assessment and production’ is a scheduled activity listed in Schedule 1 of the Protection of the Environment Operations Act 1997 (POEO Act). Under section 48 of the POEO Act, all scheduled activities are required to hold an environment protection licence. EPL 20352 covering PEL 456 in the Upper Hunter area. Exploration and appraisal activities have been underway in NSW for a number of years. 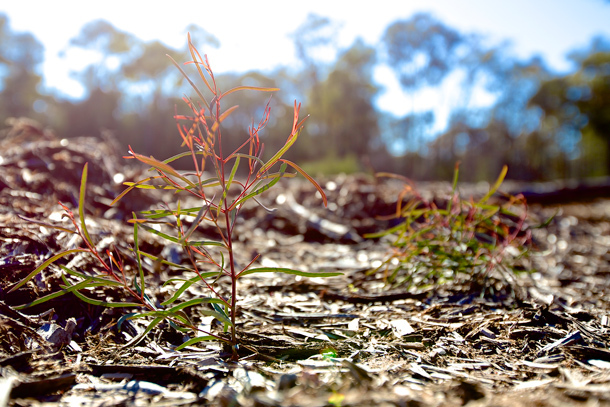 Details on the environmental assessment documents related to exploration and appraisal activities and supporting operations in the Narrabri, Gunnedah and Upper Hunter areas are listed below. In July 2014, the NSW Planning Assessment Commission (PAC) granted consent for the Bibblewindi Gas Exploration Expansion and the Dewhurst Gas Exploration Pilot Expansion, following submission of environmental impact statements for each of these projects. Documents relating to these projects can be viewed at the links below. Petroleum exploration and appraisal activities are subject to the assessment and approval requirements of Part 5 of the EP&A Act. In most cases, a detailed REF assessing the potential impacts of the activity, and identifying measures to mitigate those impacts, must be submitted to the NSW Government for assessment. REFs for Santos’ exploration and appraisal activities can be viewed here. In 2013, Santos referred its exploration and appraisal program activities in the Narrabri area to the Commonwealth Government for assessment under the EPBC Act. The Commonwealth Minister for the Environment determined that the program was not a controlled action if undertaken in a particular manner. Documents relating to the referral can be viewed here. Santos has obtained development consent from the Narrabri Shire Council for a number of camp facilities and its Narrabri Operations Centre. Click here to view the statements of environmental effects for this infrastructure. In 2008, the previous operator of the Narrabri operations, Eastern Star Gas, obtained approval to construct the Narrabri Coal Seam Gas Utilisation Project, including the construction of a gas pipeline from Bibblewindi and expansion of the existing power station at Wilga Park. Regulatory approvals are in place for the operation and expansion of the Wilga Park Power Station up to a maximum capacity of 40 megawatts. Click here to view relevant approval documentation. Under the conditions of PEL 238, Santos is required to have an approved Produced Water Management Plan in place for operations which generate more than three megalitres of produced water per year. Santos has an integrated Produced Water Management Plan for its PEL 238 and PAL 2 operations. Click here to view the Produced Water Management Plan. All holders of environment protection licences are required to prepare a Pollution Incident Response Management Plan (PIRMP) under section 153A of the POEO Act. Santos has a PIRMP which applies to all its NSW operations. Click here to view the PIRMP.